Photo By Roger Barone Special to Delaware Valley News.com Brian Burton carries the ball past Roxborough. Roger Barone- Photo- Special to Delaware Valley News.com The crowd had nothingto cheer about. For most of this football season, Roxbroough has been doing very well. They have been winning games and scoring points against some very capable opponents . 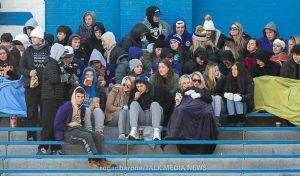 That all came to an end on Thanksgiving, when the team played Roman Catholic and lost big time. The final score was 35-0 . The game was played at Roxborough’s home field. The crowd was sparse, with only about 200 people in attendance. The cold weather kept a lot of people home. Those that did show had nothing to cheer about, as every time Roxborough got possession of the football, they were not able to do anything with it. In fact, Roxborough was out played in just about every aspect of the game. 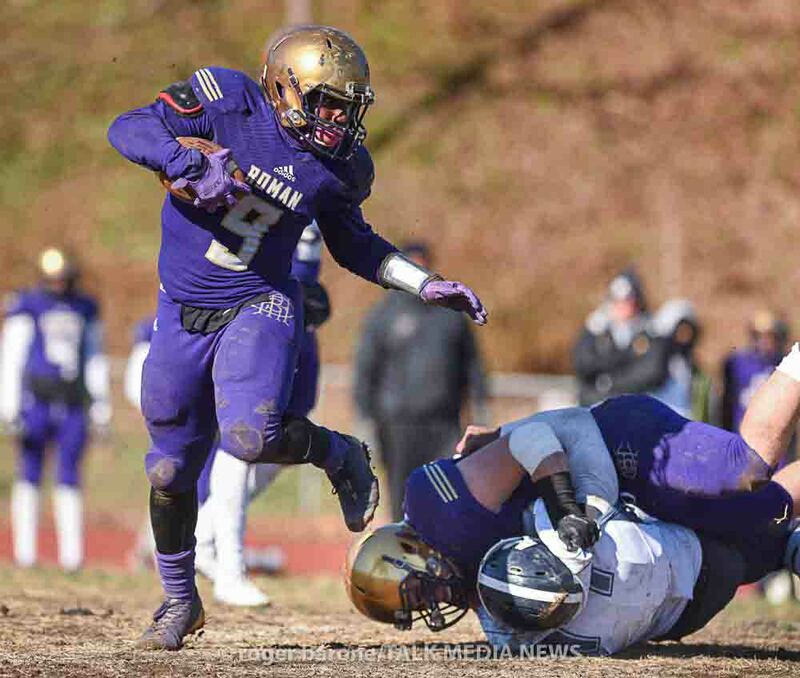 Running Back Brian Burton from Roman Catholic could be seen just obliterating the defense from Roxborough. The game kicked off about 10:30 AM and by the early afternoon, everyone had left the stadium and were on their way to their destination to eat Thanksgiving dinner.